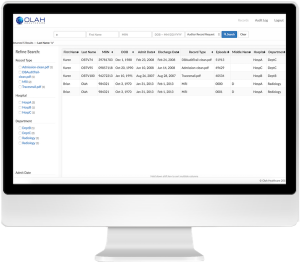 OLAH Historian™ is a medical content storage and management system specifically designed for decommissioned medical legacy and archived systems. Unlike generic content management systems, OLAH Historian™ was designed to address the needs of the medical professional organization that has to have the functional requirements of PHI and HIPAA built in at all times. At Olah Healthcare Technology, we know that hospital systems want choices for where they are going to be storing their archived documents and data from legacy systems. Because of this OLAH Historian™ was designed to easily integrate with leading EMR and EHR through secured standardized web services. In addition, OLAH Historian™ easily integrates with your LDAP or Active Directory environments. With OLAH Historian™, you have one system that securely manages this historical patient data and documents, but it is easily integrated into the workflow of your existing enterprise health record system(s). Software Maintenance is built into the low monthly price. We do all the updates and security patches and they are automatically applied to your instance. Take advantage OLAH’s HIPAA and PHI Compliance that is always on. Amazon Glacier – 1/10 the cost of traditional databases. For Infrequent Access such as Data Archiving and Long-Term Backups. Bulk Retrievals – 5 – 12 hours.